When you visit somewhere over forty years for the one hundred and fifth time you do not expect to film a new species. 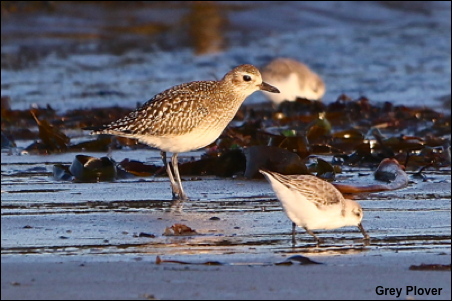 Last week on Islay I was filming a group of sixty Sanderling when from nowhere a solitary Grey Plover walked into the picture and commenced feeding with the Sanderlings. It was an unexpected bonus for Grey Plover on their own are usually very wary birds to approach with a camera.